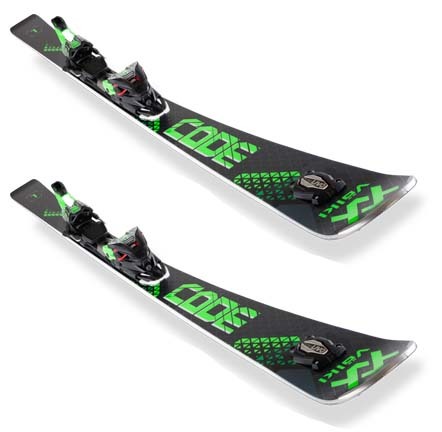 The Code L is wider than a race ski, with the perfect setup for big turns on the groomers. Built with a Speedwall Multi Layer reinforced wood core, powered by titanium, UVO and Extended Tip and Tail Rocker, this Code is the ultimate frontside speed machine for advanced to expert skiers. The rMotion2 binding system with Marker X-cell components and GripWalk compatibility perfectly adds to the performance. A ski that delivers 100% power, but only when needed or wanted. Speedwall Multilayer Woodcore: The side wall is laminated to extremely stable layers of wood on the sides of the sandwich core. In combination with a more flexible, lighter wood built into the center of the sandwich core construction provides numerous advantages: The hardwood part immediately adjacent to the sidewall effects a higher power transmission, improves the edge grip and supports the edge against external forces. The low weight of the softwood part in the middle of the ski brings more agility and maneuverability and reduces overall ski weight. The combination of both wood types running through the entire ski length contributes to an optimal distribution of the ski stiffness increasing the steering precision. It is the first and only sidewall/core technology intended for aggressive on-piste and racing use and capable of delivering the victory and defeat, even if it is measured in hundredths of seconds. UVO: "Ultimate Vibration Object" UVO is the first freely rotating, 360° vibration damper to apply cutting-edge vibration dampening technology to minimizing disruptive ski vibration. The terrain or surface below the ski inevitably generates vibrations, which in turn set the shovel in particular into motion in all directions. This significantly disrupts the smoothness of the ski-ride, and makes it harder to hold an edge. Tip + Tail Rocker: The combination of an early rise tip and a camber profile in the rest of the ski provides easy, smooth turns regardless of conditions. Full Sidewall: Direct and strong power transmission with full length sidewalls. P-Tex 4500 Base: A sintered, ultra-high molecular polyethylene base with an extremely high density. Besides a great wear resistance and perfect wax absorption the P-Tex 4504 is extremely fast and exclusively used on our top of the line and race models. The material has been upgraded with special additives to make it thermal and electro-conductive and proves its qualities with premium glide and maximum speed in races. 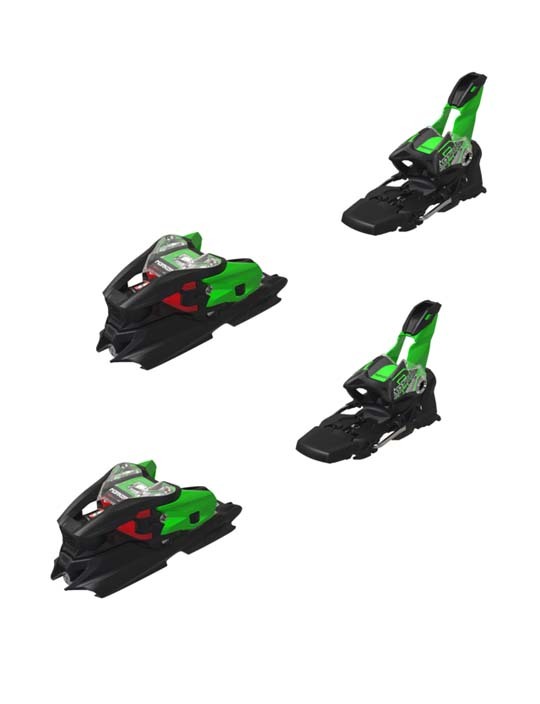 rMotion2 12 Bindings: Marker motion binding system built to match the code series skis. Shoppers: The rMotion2 Bindings are shipped to you in the in factory box. The Base/Track system is mounted by the manufacture so only assembly (no drilling) is needed to complete the installation of this model binding onto these skis.